1 One of the (not so) many ways to enjoy zero-power in SMPS design The VIPer0P high-voltage converter provides a unique zero-power mode (ZPM) than can reduce stand-by consumption in a switched mode power supply (SMPS) to a bare 5 mW and thus help meet the most stringent requirements set by industry regulations. The STEVAL-ISA192V1 evaluation board provides a complete and proven 7 W dual output (-5V and 7V) design with capacitive switches to make the SMPS enter ZPM. 3 1200 V SiC diodes with the lowest forward voltage drop ever ST’s range of 1200 V silicon-carbide (SiC) JBS (Junction Barrier Schottky) diodes deliver the best-in-class forward voltage (VF ) and state-of-the-art electrical robustness. The high efficiency and reliability of ST’s SiC technology provide designers freedom to use diodes with a lower current rating and therefore lower cost. Covering current ratings from 2 to 40 A, the 1200 V SiC diode family comes in through-hole (TO-220, TO-247) and surface-mount (D²PAK, DPAK high-voltage) packages. 5 Ultra-tiny low-dropout regulator in breakthrough bumpless chip-scale package The LDBL20 is a powerful 200 mA LDO in a tiny 0.47 x 0.47 mm innovative ST STAMP™ chip-scale package. The input voltage can range from 1.5 to 5.5 V, with 200 mV typical dropout. Rejection (PSRR) of 80 dB at 100 Hz and 50 dB at 100 kHz simplifies filtering over a wide frequency range to provide a stable rail for low-power circuitry in battery-operated applications. Quiescent current of 20 µA no-load, 100 µA full-load, and 0.3 µA in standby help maximize efficiency under all operating conditions. 7 SOD123 and 128Flat power Schottky diodes for improved cost and space-savings Only 1-mm thick, ST’s 40, 60 and 100 V power Schottky rectifiers are tailored for harsh industrial environments thanks to a TJ range from –40 to 175 °C. Almost 60% thinner than the standard SMA package – while fully footprint compatible – designers can create lighter and slimmer modules or use these as replacements in existing designs. 8 Buck converter LED driver board for Smart Cities The STEVAL-ILL078V1 is a buck LED driver evaluation board for high-power LED driving based on the LED6000. This 61 V asynchronous switching regulator with embedded power MOSFET is designed to source up to 3 A of DC current depending on the application conditions, making it ideal for HB LED driving applications and halogen bulb replacement. Its high switching frequency and compatibility with ceramic output capacitors ensure a minimal overall application size. 9 Efficient 16-channel LED driver expansion board cascades multiple boards for larger systems The X-NUCLEO-LED16A1 is an STM32 Nucleo expansion board for designing applications based on the LED1642GW 16-channel LED driver. Multiple drivers can also be cascaded by coupling X-NUCLEO-LED16A1 expansion boards. Depending on the end application (full-color / monochrome large displays, LED signage), RGB or single-color LEDs can be connected to the board and a separate brightness control is also possible for each channel. 10 High-precision 16 V op amps for Smart Home applications The low input-bias current and the energy-efficient combination of low power consumption and gain bandwidth make the TSX7 series ideal for use in power-constrained sensor-signal-conditioning applications. The wide supply-voltage range, stability in challenging operating conditions, and tolerance of electrostatic discharge (ESD) up to 4 kV HBM (Human Body Model) fit well in applications such as building automation, home control and LED lighting. 11 Zero-power standby SMPS with remote-control wake-up Based on the VIPer0P 800 V avalanche-rugged high-voltage converter with zero-power standby, the STEVAL-ISA181V1 is a remote-controlled 12 V / 600 mA isolated flyback SMPS with a smart standby architecture featuring zero-power mode (ZPM). In ZPM idle state, power consumption is below 5 mW. The ZPM combined with the IR remote on/off control makes it ideal for air conditioning, roller shutters and home automation systems. 12 Reliable and flexible solution for home automation systems Featuring low on-resistance (3.6 Ω and 1.7 Ω, in 1 A and 2 A variants, respectively) and low switching losses, the new MOSFET-based SLLIMM-nano intelligent power modules ensure high overall energy efficiency and extremely reliable performance. The new devices (1 A and 2 A current rating at 25 °C, with 500 V breakdown voltage) available in zig-zag and in-line lead packages are ideal for roller shutters, air conditioning fans and home automation systems, giving designers extra flexibility to simplify the board layout and to reduce system cost. 13 Robust Datalog with ST’s Industrial and Industrial-Plus EEPROM ST’s Industrial EEPROMs enlarge capabilities to safely store and refresh information coming from connected devices. More than 100 million samplings and updates are possible over an extended temperature range up to 105 °C with the Industrial-Plus series. Datalog in ST’s robust EEPROM makes your network infrastructure flexible, efficient and reliable over time. 14 Nano-power op amp helps cut the size and energy needs of analog circuits Specifically designed to run longer and more efficiently in low-power applications, the TSU111 op amp offers an ultra-low power consumption of 900 nA (typ.) and 1.2 µA (max.) when supplied by 3.3 V. Its high accuracy of 150 µV (max. ), 11.5 kHz gain bandwidth and tiny 1.2 x 1.3 mm outline make the TSU111 ideal for medical monitors, wearables, gas detectors, pH sensors, infrared motion sensors, and payment tags. 16 All-in-one design toolkit and smart selector for op amps and comparators STM Op Amps mobile app (ST-OPAMPS-APP) lets you select the best operational amplifier, comparator, current-sensing, power and high-speed amplifier device for your application. Sort, compare and filter electrical parameters or use the smart component value calculator with interactive schematics. Search using the competitor cross-reference tool and access 3D package data and product datasheets while away from the desk. 18 STM8CubeMX: configure your STM8 with the help of a new software tool The STMCube™ initiative is now available for the whole STM8 family! 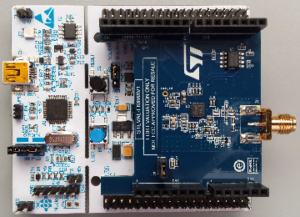 Similarly to STM32CubeMX for STM32 MCUs, STM8CubeMX helps developers find the best STM8 using search criteria or for a given board. Configuration is facilitated using the pinout wizard to solve potential pin allocation conflicts, the clock-tree wizard to properly set the clocks, and the power-consumption calculator to plan for consumption scenarios. 19 New ultra-low-power STM32L4 lines even more energy-friendly and versatile Taking advantage of ST’s innovative ultra-low-power technology, our STM32L451, STM32L452 and STM32L462 MCU lines are new variants with versatile combinations of an integrated USB controller and cryptographic hardware accelerator. With the extended flexibility of the STM32L4 power architecture, developers now have the option to power the core from an external DC/DC for extra efficiency. Active mode current of just 36µA/MHz enables longer runtime on small batteries. 20 6 minutes to get started with our LoRa Discovery Kit This video covers the full chain of our LoRa Discovery Kit (B-L072Z-LRWAN1) and its extended network and application server functions. It shows in detail how to configure, compile and flash software to the Discovery Kit. Then it describes in easy to follow steps how you can connect it to a gateway, then to a network server, and finally to an application server. 22 STM32L4 series offers excellence in ultra-low-power with performance This e-presentation highlights how ST’s new architecture attains best-in-class ultra-low-power figures thanks to its high flexibility. STM32L4 MCUs have scored 217 in the standardized EEMBC™ ULPBench® tests that compare the efficiency of ultra-low-power microcontrollers. Moreover, the STM32L4 series shatters performance limits in the ultra-low-power world. It delivers 100 DMIPS based on its ARM® Cortex®-M4 core with FPU and ST ART Accelerator™ at 80 MHz. 23 Advanced and optimized audio development made easy on STM32 MCUs Fully optimized for STM32 MCUs and requiring no DSP coding skills, ST-AudioWeaver is a free audio development tool enabling advanced and optimized audio development while significantly reducing development time and costs. The PC-based tool allows easy creation and real-time tuning of audio processing chains by simply dragging and dropping 160+ audio modules. Premium upgrade with additional or custom audio modules and MATLAB API support is possible. 24 Increase immunity and reduce BOM with new 800 V AC switch for Smart Home ST’s new 3-amp RMS logic-level AC switch is now available in Fullpack and DPAK versions. Designed to drive most inductive loads in small motors, electric curtains, pumps, solenoids and water valves, ACST310 devices can be driven with only 10 mA gate current allowing direct connection with an MCU by a simple resistor in series, avoiding the need for an external gate driver and making FMEA easier and reducing PCB size. 25 60 V intelligent power switch ready today for tomorrow’s factory automation The IPS161H is a single high-side switch with protections and diagnostics for Safety Integrity Level (SIL2 and SIL3) compliant systems. With a supply voltage range up to 60 V, the IPS161H intelligent power switch (IPS) is capable of safely driving complex (resistive, capacitive and inductive) loads with one side connected to ground such as valves, relays and lamps in factory automation or process control applications. 27 Learn about the advantages of ST’s new 900 V MDmesh K5 MOSFETs ST has extended its portfolio of MDmesh K5 very-high-voltage super-junction MOSFETs with 900 V devices featuring the industry’s lowest on-state resistance (99 mΩ in the TO-247 package and 810 mΩ in the DPAK package) while also reducing the gate charge for faster and more efficient switching. The devices also have low input and output capacitances which enable zero-voltage switching with minimal energy loss. 28 ST Community: The place to get answers, share ideas, and know what’s coming This blog post takes a look at ST’s new resource, curated by moderators, and enhanced by ST employees, to bring partners, engineers, academia, and enthusiasts together around its technologies. 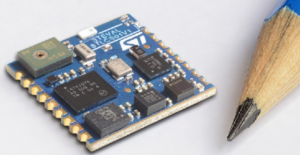 29 SPWF04: Low-power Wi-Fi and powerful MCU for MicroPython applications This blog post examines a new Wi-Fi module recently launched by ST that is designed to facilitate the development of cloud applications used by small or IoT devices connected to the web. 33 Get insight on how STM32 ODE Function Packs are conceived by engineers for engineers In this blog post, the stage is given to the engineering crew who is so passionate about building all-in-one packages to help peers get their IoT project done at light-speed. 35 Secure IoT solutions for STM32 with secure boot and firmware updates Designed from the ground up to securely isolate applications from each other, the ProvenCore-M RTOS from Prove & Run is a secured microkernel for IoT devices based on the STM32 security hardware. Customers can develop the functional part of their applications leaving the security to the secured RTOS. With built-in Secure Boot and Secure Firmware Update services, reach a unique security insurance level with the addition of the CC EAL5+ STSAFE global secure solution. 37 Build a presence detector that won’t drain the battery Sensors used to control lights or trigger alarms based on motion detection are a design challenge as they must be ultra-low power to ensure long battery life. The STEVAL-IDI009V1 evaluation board builds a complete signal conditioning chain for the on-board passive infrared (PIR) sensor around the TSU102, a nanopower op amp consuming as low as 24 µA in idle state. The board can connect to STM32 Nucleo development boards or an Arduino UNO R3 and comes with free firmware for evaluation and code development. 38 Connect directly to the cloud with our Discovery kit IoT node The STM32L4 Discovery kit IoT node (B-L475E-IOT01A) enables you to create smart connected low-power devices. It combines direct access to cloud servers (Wi-Fi Inventek ISM43362-M3G-L44, NFC) and brings low-power multi-link communication (Sub-GHz, BLE) to optimize range and battery autonomy. Multi-way sensing is also included on-board to perform user interaction (proximity, motion, audio sensors) as well as environmental awareness (pressure, humidity, temperature sensors). To get started, pre-integrated Cube SW components deliver direct connection to AWS cloud or to any other servers. 39 Quad high-performance LDO evaluation board simplifies finding the best design solution The STEVAL-LDO001V1 allows smart evaluation of four of ST’s high-performance low-dropout linear voltage regulators specially designed for extend battery life in portable smart devices. Thanks to state-of-the-art technologies, designs and innovative packaging, designers can choose the best solution in terms of ultra-low quiescent current, ultra-low noise and high PSRR, automatic green mode and miniature packages such as Flip-Chip or ST STAMP™. 40 Developers will love this comprehensive LoRaWAN™ Discovery kit Based on an open LPWAN module by Murata hosting a STM32L0 MCU (192-Kbyte Flash memory, USB and TRNG), an SX1276 radio, TCXO and crystal ocillators, ST’s LoRa® Discovery kit (B-L072Z-LRWAN1) is the most advanced, compact and cost-optimized solution for developers. Featuring Arduino connectors, an integrated debugger, a battery pack slot, a SMA connector and a 50-ohm antenna, this tiny module (12 x 13 mm) only consumes 1.2 µA in Stop mode. 41 ST’s new common-mode filter helps design silent and robust consumer applications Designed to filter and protect high-speed links such as USB3.1 Gen 1 and HDMI2.0, ST’s ECMF4-20A42N10 improves the overall performance and robustness of consumer devices, in less than 3 mm² (1.35 x 2.2 mm µQFN package). It suppresses the common-mode noise generated from the high-speed lines which creates LTE, GPS and Wi-Fi 2.4 to 5 GHz bands antenna de-sense and clamps ESD surges down to the 10 V remaining voltage. 42 Getting started video for STM32L0 LoRa® Discovery kit 6 minutes is all it takes to see how you can configure, compile and flash software for the STM32L0 LoRa® Discovery kit (B-L072Z-LRWAN1). Based on an extended LoRa Nucleo Pack with Network and Application server functions, it shows how to connect the kit to a gateway, then a network server, and finally to an application server for networking. It demonstrates how the full chain works: IoT node, gateway, network and application. 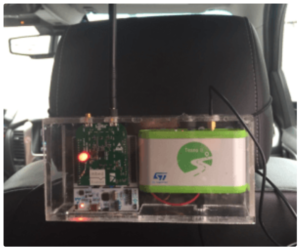 43 STSAFE-A1SX: the SIGFOX Secure Element protecting devices inside and out This post looks at ST’s first solution dedicated to Sigfox nodes providing robust, and modern, security measures to protect its data from hackers and failures. 45 New ultra-low-power STM32L4 MCUs for performance with top peripheral integration The latest STM32L4x6 MCUs extend Cortex®-M4F core performance and proprietary ultra-low-power technologies, adding larger memories, enhanced graphics support, extra peripherals, and increased power-saving flexibility. On-chip RAM up to 320 Kbytes complements the ST Chrom-ART Accelerator™ for smoother display performance in energy-conscious applications such as IoT devices and smart watches. A new 169-pin UFBGA package gives extra flexibility for its new peripherals, as well as rich digital and smart analog features. 46 Easy firmware upgrades in the field with new NFC/RFID dynamic tag Combining the convenience and flexibility of Near-Field Communication (NFC) with Fast Transfer Mode data speeds over ISO 15693 distances, the ST25DV NFC/RFID dynamic tag and its unique bundle of supported features make it ideal for FW upgrades in the field. Easily integrated into existing ISO 15693 infrastructures with no additional investment required, it is also suited for both contactless or wired (I²C) personalization of electronic equipment at the point of production (“in-the-box programming”). 47 60V-in 5V/2A-out DC-DC converter for factory automation Designed for compliance with the 24 VDC bus used in programmable logic controllers (PLCs), the L7987L step-down switching regulator with adjustable current limitation provides a high-efficiency solution for fail-safe tolerant systems. The STEVAL-ISA198V1 evaluation board implements a compact design based on the L7987L to generate a 5V-2A output from an input rail as high as 60 V with high conversion efficiency across the entire load range. 48 Tiny 2.6 A brushed DC motor driver extends runtime of battery-powered devices The latest addition to ST’s family of tiny, low-voltage, energy-efficient motor drivers for battery-powered portable and wearable applications, the STSPIN250 integrates a full MOSFET bridge and fixed off-time PWM current controller in a tiny 3 x 3 mm QFN package. It operates from a supply voltage as low as 1.8 V and enables power savings thanks to the best-in-class standby current consumption of less than 80 nA. The high output current capability allows use in low- to medium-power applications. 49 Configurable high-efficiency interleaved PFC digital controller ST extends its digital controller portfolio with the STNRGPF01, a 3-channel interleaved CCM PFC controller. Ideal for high power applications (above 1 kW), it delivers the flexibility and high efficiency of digital power without the technical challenges and time to develop custom DSP code. Easily and quickly configured using ST’s eDesignSuite online design environment, simply enter the specs and run the configurator to generate the schematic, BoM, and downloadable firmware to configure the IC. 50 Increase performance and longevity with TSU nanopower op amps Available in single-, dual-, and quad-channel versions, the TSU series of nanopower op amps offer an ultra-low-power consumption of 580 nA (typ.) and 750 nA (max.) per channel when supplied by 1.8 V, combined with a supply voltage range of 1.5 to 5.5 V. These features make them ideal for ultra-long life battery-powered applications, power metering, UV and photo sensors, electrochemical and gas sensors, PIR detection, battery current sensing, medical instrumentation or RFID readers. 51 New STM32 Discovery board with enhanced connectivity for quick prototyping With a full set of hardware features, the STM32F723 Discovery kit (STM32F723E-DISCO) comes with 2 USB connectors to evaluate the STM32F723 embedded USB FS and HS physical interfaces and enables richer modularity by bringing connectivity beyond Arduino™ Uno: a PMod and a new STMod+ connector. The kit includes an STMod+ fan-out board to enable developers connect Wi-Fi, Grove, Click modules and any innovative hand-made circuitry built on breadboards. The 39 US$ RRP discovery board comes with a preloaded player demo. 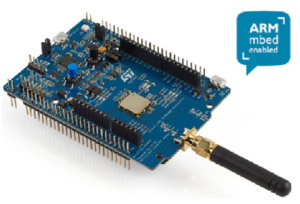 52 Learn and develop LoRa® and FSK/OOK solutions with new STM32 Discovery kit ST’s LoRa® Discovery kit (B-L072Z-LRWAN1) is the most advanced, compact and cost-optimized solution for developing LoRa® and LPWAN solutions. Based on an open LPWAN module by Murata hosting an STM32L0 MCU and SX1276 transceiver, the 12 x 13 mm board consumes 1.2 µA in Stop mode and operates in the 860 to 950 MHz ISM band range. It features Arduino connectors, an integrated debugger, a USB 2.0 FS port, battery pack slot, SMA connector and 50Ω antenna. 53 New IoT toolbox allows graphics, voice acquisition and internet connection The STM32F413 Discovery kit (STM32F413H-DISCO) features a 240 x 240 LCD color touchscreen, 2 MEMS microphones, an Inventek Wi-Fi module and ST-Link debugger/programmer supporting USB re-enumeration. Onboard connectivity enables adding an Arduino expansion board, micro USB elements, microSD memory card, external MEMQ microphones, and analog audio devices. An STemWin-based GUI demos automatic speech recognition (ASR), audio beam forming and echo cancellation (AEC) functions. 54 Advanced and optimized audio development made easy on STM32 MCUs Fully optimized for STM32 MCUs and requiring no DSP coding skills, ST-AudioWeaver is a free audio development tool enabling advanced and optimized audio development while significantly reducing development time and costs. The PC-based tool allows easy creation and real-time tuning of audio processing chains by simply dragging and dropping 160+ audio modules. Premium upgrade with additional or custom audio modules and MATLAB API support is possible. 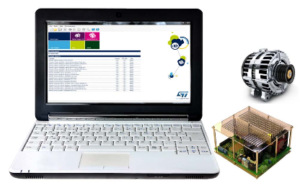 55 STM32L4 ecosystem now enriched with enhanced Discovery board The STM32L496G Discovery kit (STM32L496G-DISCO) benefits from the innovative ultra-low-power features and graphics/audio functions offered by the STM32L496 MCU to enable quick and easy prototyping. Featuring a 240 x 240 TFT LCD display, 64-Mbit Quad-SPI Flash interface, 8-Mbit PSRAM, MEMS stereo microphones and audio codec, the board also enriches its connectivity and modularity beyond Arduino™ Uno thanks to its PMod connectors and STMod+ fan-out board for easy interfacing with Wi-Fi, Grove and Click modules. 57 Intuitive ST MCU Finder now available for desktops ST’s popular MCU Finder application for mobile devices is now available for Windows®, macOS®, and Linux®. 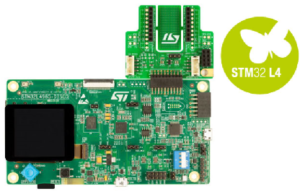 Developers can now explore and connect to ST’s complete STM32 ARM Cortex-M and STM8 MCU portfolio from their desktop environment. Thanks to the intuitive MCU selection tools, self-maintaining technical documentation, connections to ST MCU communities, and many more features, users can quickly find the data and technical resources they need for free. 58 Short presentation highlights benefits of very-high-performance STM32F7 MCUs This e-presentation showcases the STM32F7 series of very-high-performance microcontrollers with a 32-bit ARM® Cortex®-M7 core. 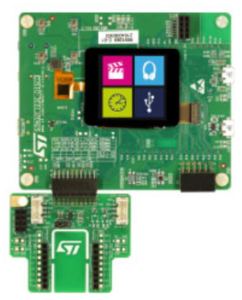 The STM32F7 optimizes the performance of the entire system by combining a set of brand new peripherals around the Cortex-M7 with a superior interconnect architecture with AXI and multi-layer AHB bus matrixes, multiple general-purpose and dedicated DMA controllers, a Chrom-ART graphic hardware accelerator as well as a JPEG accelerator on some variants. 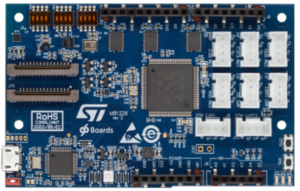 60 STM32L4 series offers excellence in ultra-low-power with performance This e-presentation highlights how ST’s new architecture attains best-in-class ultra-low-power figures thanks to its high flexibility. STM32L4 MCUs have scored 217 in the standardized EEMBC™ ULPBench® tests that compare the efficiency of ultra-low-power microcontrollers. Moreover, the STM32L4 series shatters performance limits in the ultra-low-power world. It delivers 100 DMIPS based on its ARM® Cortex®-M4 core with FPU and ST ART Accelerator™ at 80 MHz. 61 QML-V-qualified gate driver enables smaller and more efficient converters To push size and weight down is a challenge for power designers who need to keep increasing a converter’s switching frequency. The RHRPM4424 dual rad-hard low-side driver helps get the job done with a high-current drive capability twice as high as currently available products, tightly matched propagation delays and a reduced low-level output voltage that also make it suitable to drive logic-level MOSFETs and GaN HEMTs. The RHRPM4424 comes in an industry-standard Flat-16P optimized for power dissipation and a Flat-10 for size-constrained designs. 64 Cost-efficient satellite transceiver SoC for enhanced power efficiency The STiD337 ARM® Cortex®-based satellite transceiver SoC with integrated DVB-S2/S2X forward link and IQ-streamer for return link enables deep-sleep and auto wake-up providing 3.5 W (max) power dissipation at full speed and less than 50 mW (typ) during sleep. Production samples are available (under NDA) along with a hardware evaluation platform, a Linux-based OS, and a basic driver set. 65 Very-low-power rad-hard op amps for long-term missions now QLM-V qualified The RHR61 (single) and RHR64 (quad) Rad-Hard op-amp can operate with a supply voltage down to 1.5 V while providing an input offset voltage of less than 3 mV, ideal for low-power data acquisition chains for precision telemetry and housekeeping in satellites. QLM-V qualified and available in hermetic Flat-8 and Flat-14 packages, they feature high immunity to high-energy heavy-ion induced Single Event Latch-ups (SEL), Single Event Transients and Total Ionization Doses (TID) up to 100 krad as required by long-term missions. 66 Industry-standard rad-hard PWM controllers are now ESCC qualified The ST1843 and ST1845 are industry-standard PWM controllers that have been used over the years in a number of missions being Single Event Latch-up (SEL) free and granting immunity, respectively, to 50 and 100 krad Total Ionization Dose (TID), with hundreds of them still flying. This reliable work-horse of power converter designs has successfully passed a full qualification protocol and is now ESCC qualified. 67 New-generation power rectifier for efficient power conversion in satellites The STT60400HR is a power rectifier developed primarily to support the needs of the electric propulsion and power control & distribution units of next-generation satellites. Using ST’s latest planar technology, it features a low forward voltage drop (VF) to reduce power losses. The STT60400HR comes in a hermetic ceramic SMD1 package. Engineering models and radiation reports are available upon request. 69 Rad-hard DAC for high-resolution satellites position tracking and telemetry The RHRDAC1612 is a very low-noise, radiation hardened DAC optimized to operate in a bandwidth up to 3 kHz. With its high resolution Sigma-Delta architecture, the RHRDAC1612 provides very low noise – 96 dB SNR – and superior linearity with 16-bit Equivalent-Number-Of-Bit (ENOB) while featuring a very attractive power consumption – less than 20 mW at 12 KSPS. T he RHRDAC1612 comes in a hermetic Flat-24 package and is available as Engineering Model (EM) now. 71 Teseo PC tool helps you find the direction of your design Teseo-Suite is the official software tool used to manage, configure and evaluate the performance of all ST GNSS solutions including the new third generation of Teseo devices. Its graphical user interface can control more than one GNSS receiver simultaneously allowing an easy performance comparison. In addition to numerous other features, it comes with a powerful NMEA diagnostics tool to help speed up development time. 72 Need ultra-high temperature in a tiny package? ST makes it possible The LM2904WHYST dual op amp and LM2903WHYST dual comparator in a MiniSO8 package offer a 50% smaller footprint than other Grade-0 parts in a standard SO8 package. Qualified for operation from –40 to 150 °C, these parts enhance reliability with improved robustness and resilient performance in harsh environments such as engine controllers, in-gearbox modules, LED-lighting controllers, and safety-critical systems such as ABS controllers that must provide absolute dependability. 73 First automotive-grade thyristor (SCR) in D²PAK package ST extends its 1200V SCR series with the TN3050H-12GY, an automotive-grade 30 A thyristor. Designed for 2 to 7 kW on-board chargers in bridge or bridgeless topologies, it also fits AC-DC rectification in UPS and battery charger applications, motor drives or the back-to-back switch of solid-state relays. Fully rated at 150 °C and housed in the D²PAK package (a TO-247 package version also exists), it offers a robust switch – 1 kV/µs immunity, 1400 V surge – for compact SMD design with full AEC-Q101 compliance. 74 Dual step-down switching regulator with LDO and HSD now available in tiny VFQFPN package The L5963, a multi-channel automotive power management IC, now comes in a very small 7 x 7 mm 48-pin VFQFPN package. Able to deliver up to 3 A from each of the two embedded DC-DC converters and up to 250 mA from the linear regulator. Battery-compatible, all regulators have independent supply, power good and hardware enable pins; simplifying power up sequencing. It is perfect for use in USB hubs as well as infotainment systems and car electronics in general. 75 512 Kbits of automotive-grade EEPROM in tiny DFN8 package for ADAS Advanced driver assistance systems (ADAS) use several cameras for 360° surround view systems, forward sensing, driver safety monitoring and night vision. ST’s automotive-qualified serial EEPROMs offer maximum flexibility for setup parameters with up to 512 Kbits of EEPROM for improved image quality in a tiny 2 x 3 mm DFN8 package for easy upgrades, late customization, monitoring, and in-use/ageing calibration. 76 Secure element for advanced protection of automotive M2M solutions The ST33G1M2A is a secure element for car applications designed to reach high levels of performance such as more than 500,000 erase/write cycles per page over an extended temperature range from –40 to +105 °C under very harsh environmental conditions. With native Page Flash robustness and increased failure analysis capability, this serial access MCU targets very low ppm levels. AEC-Q100 certified, it offers numerous security features to help to protect against advanced forms of attacks. 77 Cloud Connectivity out of the box! Learn how easily you can build a BLE network and control all the devices in it via IoT cloud services such as IBM Watson, Microsoft Azure or Amazon Web Services. 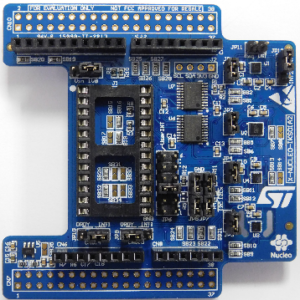 Use the STM32 ODE Development boards, and Application software to jump start your projects. 78 STM32 and Arduino Watch as Tenaya Hurst from Arduino talks about the value of educational programs and the STM32-based Arduino™ STAR OTTO board. 79 Meet the ST Community The ST Community website enables customers, partners, developers, makers, schools, universities, ST employees and all ST-product enthusiasts to collaborate, connect, communicate, learn and share their insights via a powerful social community application. 82 Securing the Connected Vehicle with the SPC58 Learn how the new SPC58 automotive MCU family enables the automotive industry to raise the bar in security and in-car communications. The family includes the latest Hardware Security Module (HSM) technology for intrusion detection and protection against malicious attacks. 83 ST25DV, a step ahead for dual interface NFC tags ST’s new ST25DV dual-interface dynamic tags uniquely combine the convenience of Near-Field Communication (NFC Forum Type 5) with Fast Transfer Mode data speeds over ISO 15693 distances. 85 Industry’s smallest power-dense ESD & EOS protection ICs for USB Type-C ports ST extends its dedicated 30-kV protection series for USB charging circuits with five new transient voltage suppressors. The ESDAxP series – designed with the best clamping ratio for 5 to 20 V USB-powered devices – provides the best-in-class surge current protection capability within the tiniest possible package (1.6 x 1.0 mm), and improves the whole circuit lifetime. The ESD robustness of the entire TVS series goes well beyond the IEC 61000-4-2 Level 4 specification. 86 Zero-power standby SMPS with remote-control wake-up Based on the VIPer0P 800 V avalanche-rugged high-voltage converter with zero-power standby, the STEVAL-ISA181V1 is a remote-controlled 12 V / 600 mA isolated flyback SMPS with a smart standby architecture featuring zero-power mode (ZPM). In ZPM idle state, power consumption is below 5 mW. The ZPM combined with the IR remote on/off control makes it ideal for air conditioning systems. 88 I2PAKFP package extends 950 V MDmesh K5 MOSFET portfolio Ideal for compact and slim designs such as LED driver applications and slim laptop adapters, the 950 V, 0.50 Ω (max) RDS(on) STFI15N95K5 is housed in the fully-molded I2PAKFP through-hole package (JEDEC-approved TO-281) which is 30% shorter than the TO-220FP, yet shows the same thermal performance and electrical isolation. In slim designs, the package can be mounted above the standoff height, which improves the overall reliability. 89 Take full control of your high-power stepper motor This step-by-step tutorial shows you how to get up and running ST’s X-NUCLEO-IHM03A1 STM32 ODE expansion board based on the powerSTEP01, a compact and powerful stepper motor driver delivering up to 10 A with superior smoothness and accurate positioning. 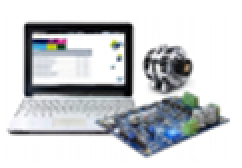 Start your high-power stepper motor project in just minutes. 90 600 V MOSFET with integrated fast body diode for faster and more efficient switching Housed in the compact DPAK package, the 600V STD5N60DM2 is the latest addition to ST’s MDmesh DM2 series of super-junction MOSFETs with integrated fast body diode. With an on-state resistance of 1.55 Ω (max), a 3.5 A drain current (max), low Qrr and high dv/dt capability, it allows faster and more efficient switching in server, solar micro-inverters, lighting and home appliance applications in full-bridge and half-bridge topologies. 91 Make your wearable devices energy autonomous ST’s SPV1050 ultra-low power energy harvester with integrated battery charger helps designers achieve high efficiency and small form factor designs, making it the perfect fit for smart watches and wrist bands, pedometers and heart-rate meters. Suitable for any battery chemistry and with more than 90% conversion efficiency, it guarantees a long battery lifetime, light weight and minimal footprint. 94 Design more compact and efficient SMPSs ST’s SRK2001 is a secondary-side synchronous rectification controller for LLC resonant converters. It features an innovative turn-on logic with adaptive masking time and adaptive turn-off logic which maximizes the conduction time of the SR MOSFETs. This eliminates the need of the parasitic inductance compensation circuit, reducing the external component count. The device also features a low consumption mode for increased efficiency in light-load / no load conditions. 95 WiTricity leads the way with wireless charging Wireless charging for electric vehicles (EV) and hybrid electric vehicles (HEV) is coming to market soon, and WiTricity is leading the charge in technology development and standardization with its magnetic-resonance-based wireless power-transfer expertise and technology. 99 SensorTile: an integrated multi-sensor node and out-of-the-box IoT design lab The comprehensive STEVAL-STLKT01V1 multi-sensor development kit is based on the tiny SensorTile board leveraging an ultra-low-power STM32L4 MCU and BlueNRG network processor as well as a wide spectrum of motion and environmental MEMS sensors, including a digital microphone. Delivered with “cradle” boards equipped with audio DAC, USB port, STM32 Nucleo, Arduino UNO R3 and SWD connectors for in-form prototyping and testing, the SensorTile is the best vehicle for IoT application development. 100 New high-performance fully differential analog bottom-port microphone The MP23AB01DH is a compact, low-power microphone built with a capacitive sensing element, capable of detecting omnidirectional acoustic waves, and an IC interface. Able to operate on a single supply voltage, it has a sensitivity of 38 dB ±1 dB, an acoustic overload point of 135 dB SPL, a high signal-to-noise ratio and its fully differential output minimizes common-mode noise. Available in a 4-lead metal cap RHLGA package for high RF immunity and an extended temperature range from –40 to +85 °C. 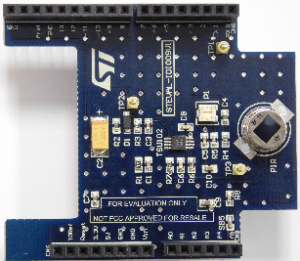 103 SensorTile, the world’s densest sensor board, now commercially available This post details the functionality and components of the STEVAL-STLKT01V SensorTile development kit now available for only $89 (rrp). 105 STM32 crypto firmware library is now FIPS certified and ready for use The STM32 cryptographic library package (X-CUBE-CRYPTOLIB) is now FIPS certified according to the US Cryptographic Algorithm Validation Program (CAVP). 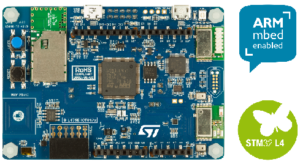 Ready for use in STM32-based applications including IoT, POS, or smart meters, the library includes all the major algorithms for encryption, hashing, message authentication, and digital signing to help customers prove the security of their new products quickly and cost-effectively. 106 Ultra-slim form factor solution for LED drivers in commercial and residential applications The STEVAL-ILL076V2 evaluation board provides a stable, efficient offline power converter based on a single stage high-PF flyback topology using the HVLED001A controller. The output voltage is controlled by the primary side, thus reducing the need for costly opto-couplers. A power factor in excess of 0.9, a total harmonic distortion below 10% and power conversion efficiency above 90% ensures compliance with the most stringent lighting standards in an efficient, compact, and cost-effective solution. 107 SIGFOX-ready sub-1GHz RF kits accelerate sensor-to-cloud IoT applications – Our new IoT development kit (STEVAL-FKI868V1) based on the ultra-low-power sub-1GHz S2-LP radio IC is now available. The kit comes with a full-featured SDK and supports SIGFOX connectivity out-of-the-box. The bundle includes an STM32 Nucleo board to start prototyping Sensor-To-Cloud solutions with no need for a local gateway or access point. Additional bundled versions will be soon available to cover various frequency bands in compliance with SIGFOX End Product Certification. 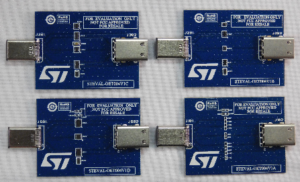 108 New kit for evaluating ESD protection and filtering solutions for USB Type-C connectors Our STEVAL-OET004V1 kit includes 4 different PCBs for various package types and lets developers evaluate USB Type-C protection and filtering solutions. With protection for data, control and power lines, the boards also come with common mode filters for USB 2.0 and 3.1 lines. Each board includes a plug and receptacle so it can easily be connected between a host and cable or device and cable. 109 New NFC controller and eSE solution significantly improves user experience Our new NFC controller (ST21NFCD) and NFC SiP including eSE and OS (ST54F) offers faster communication, even over long distances, for very smooth transactions with enhanced low power performance. With improved interoperability on multiple transport infrastructures, including P2P, you will also appreciate a lower cost thanks to a smaller BOM and reduced antenna size for easier integration. 110 Spin your dual DC motor in minutes The X-NUCLEO-IHM12A1 is an STM32 ODE expansion board based on the STSPIN240, a low-voltage monolithic motor driver for dual DC motors. It provides an affordable, fast and easy solution for prototyping battery-powered systems. Its compactness, light weight and zero-power consumption state perfectly fit into space-constrained mobile gear and wearables requiring an extended battery lifetime. Together with the free X-CUBE-SPN12 expansion software, you can spin your motor in just minutes. 112 Discover advantages of fully-molded I²PAKFP through-hole package for MOSFETs This e-pres highlights the advantages of the I²PAKFP package. 30% lower than the current TO-220FP package, the I²PAKFP (TO-281) is fully inserted at standoff, offering more insulation between leads. Step cutting means better creepage, while without the upper hole of TO-220FP packages only a clip is needed, resulting in more uniform contact pressure and good thermal behavior. Ideal for compact designs such as semi-slim adapters for ultrabooks and netbooks as well as SMPS and lighting solutions. 113 A pedometer in ST’s MEMS : Make every step count by choosing the ones that count This post examines how ST’s advanced MEMS inertial modules and eCompasses are enabling the WeRun feature found in the WeChat messaging app without draining the mobile device’s battery. 114 Smart Parking becoming a reality This post details, with the suppot of a short video, how ST’s technology has helped enable PNI Sensor Corporation’s PlacePod to give real-time parking-space-availability updates and conduct self-diagnostics. The VIPer0P high-voltage converter provides a unique zero-power mode (ZPM) than can reduce stand-by consumption in a switched mode power supply (SMPS) to a bare 5 mW and thus help meet the most stringent requirements set by industry regulations. The STEVAL-ISA192V1 evaluation board provides a complete and proven 7 W dual output (-5V and 7V) design with capacitive switches to make the SMPS enter ZPM. The STC3115 uses current sensing, Coulomb counting and accurate voltage measurements to estimate the battery’s state-of-charge (SOC). An internal temperature sensor simplifies implementation of temperature compensation. ST’s range of 1200 V silicon-carbide (SiC) JBS (Junction Barrier Schottky) diodes deliver the best-in-class forward voltage (VF ) and state-of-the-art electrical robustness. The high efficiency and reliability of ST’s SiC technology provide designers freedom to use diodes with a lower current rating and therefore lower cost. Covering current ratings from 2 to 40 A, the 1200 V SiC diode family comes in through-hole (TO-220, TO-247) and surface-mount (D²PAK, DPAK high-voltage) packages. Evaluate the performance of the 60 V IPS161H single high-side switch with protections and diagnostics for Safety Integrity Level (SIL2 and SIL3) compliant systems using the STEVAL-IFP034V1 evaluation board. The LDBL20 is a powerful 200 mA LDO in a tiny 0.47 x 0.47 mm innovative ST STAMP™ chip-scale package. The input voltage can range from 1.5 to 5.5 V, with 200 mV typical dropout. Rejection (PSRR) of 80 dB at 100 Hz and 50 dB at 100 kHz simplifies filtering over a wide frequency range to provide a stable rail for low-power circuitry in battery-operated applications. Quiescent current of 20 µA no-load, 100 µA full-load, and 0.3 µA in standby help maximize efficiency under all operating conditions. The STBC03 battery-charger management chip improves integration without compromising performance and power consumption. It combines a linear battery charger, a 150 mA LDO, two SPDT switches for power and signal routing and a protection circuit module for the battery. Only 1-mm thick, ST’s 40, 60 and 100 V power Schottky rectifiers are tailored for harsh industrial environments thanks to a TJ range from –40 to 175 °C. Almost 60% thinner than the standard SMA package – while fully footprint compatible – designers can create lighter and slimmer modules or use these as replacements in existing designs. 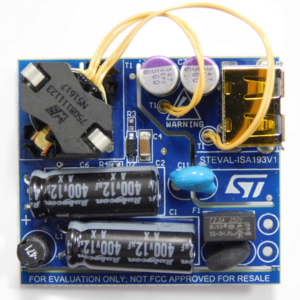 The STEVAL-ILL078V1 is a buck LED driver evaluation board for high-power LED driving based on the LED6000. This 61 V asynchronous switching regulator with embedded power MOSFET is designed to source up to 3 A of DC current depending on the application conditions, making it ideal for HB LED driving applications and halogen bulb replacement. Its high switching frequency and compatibility with ceramic output capacitors ensure a minimal overall application size. The X-NUCLEO-LED16A1 is an STM32 Nucleo expansion board for designing applications based on the LED1642GW 16-channel LED driver. Multiple drivers can also be cascaded by coupling X-NUCLEO-LED16A1 expansion boards. Depending on the end application (full-color / monochrome large displays, LED signage), RGB or single-color LEDs can be connected to the board and a separate brightness control is also possible for each channel. The low input-bias current and the energy-efficient combination of low power consumption and gain bandwidth make the TSX7 series ideal for use in power-constrained sensor-signal-conditioning applications. The wide supply-voltage range, stability in challenging operating conditions, and tolerance of electrostatic discharge (ESD) up to 4 kV HBM (Human Body Model) fit well in applications such as building automation, home control and LED lighting. Based on the VIPer0P 800 V avalanche-rugged high-voltage converter with zero-power standby, the STEVAL-ISA181V1 is a remote-controlled 12 V / 600 mA isolated flyback SMPS with a smart standby architecture featuring zero-power mode (ZPM). In ZPM idle state, power consumption is below 5 mW. The ZPM combined with the IR remote on/off control makes it ideal for air conditioning, roller shutters and home automation systems. Featuring low on-resistance (3.6 Ω and 1.7 Ω, in 1 A and 2 A variants, respectively) and low switching losses, the new MOSFET-based SLLIMM-nano intelligent power modules ensure high overall energy efficiency and extremely reliable performance. The new devices (1 A and 2 A current rating at 25 °C, with 500 V breakdown voltage) available in zig-zag and in-line lead packages are ideal for roller shutters, air conditioning fans and home automation systems, giving designers extra flexibility to simplify the board layout and to reduce system cost. ST’s Industrial EEPROMs enlarge capabilities to safely store and refresh information coming from connected devices. More than 100 million samplings and updates are possible over an extended temperature range up to 105 °C with the Industrial-Plus series. Datalog in ST’s robust EEPROM makes your network infrastructure flexible, efficient and reliable over time. Specifically designed to run longer and more efficiently in low-power applications, the TSU111 op amp offers an ultra-low power consumption of 900 nA (typ.) and 1.2 µA (max.) when supplied by 3.3 V.
Its high accuracy of 150 µV (max. ), 11.5 kHz gain bandwidth and tiny 1.2 x 1.3 mm outline make the TSU111 ideal for medical monitors, wearables, gas detectors, pH sensors, infrared motion sensors, and payment tags. The STEVAL-SPIN3201 evaluation board lets you explore the new STSPIN32F0 SiP for intelligent motor control in high-end consumer applications such as vacuum cleaners, fans and power tools. STM Op Amps mobile app (ST-OPAMPS-APP) lets you select the best operational amplifier, comparator, current-sensing, power and high-speed amplifier device for your application. Sort, compare and filter electrical parameters or use the smart component value calculator with interactive schematics. Search using the competitor cross-reference tool and access 3D package data and product datasheets while away from the desk. 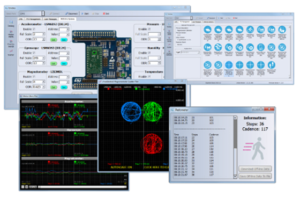 Unicleo-GUI motion MEMS and environmental sensor software expansion package for STM32Cube Unicleo-GUI is a graphical user interface (GUI) for the X-CUBE-MEMS1 motion MEMS and environmental sensor software expansion package. Built on STM32Cube software technology and designed to ease portability across different STM32 microcontrollers, it includes drivers that recognize the sensors and collect temperature, humidity, pressure and motion data from X-NUCLEO-IKS01A1 or X-NUCLEO-IKS01A2 expansion boards connected to a NUCLEO-F401RE, NUCLEO-L053R8, NUCLEO-L152RE or NUCLEO-L476RG development board. In addition to the Datalog and Datalog Extended sample applications included in the X-CUBE-MEMS1 software expansion package, developers benefit from our free and easy-to-use Open.MEMS software libraries that includes sample applications for algorithms used in activity recognition, carry position, gesture recognition, sensor fusion, pedometer, magnetometer calibration, accelerometer calibration, gyroscope calibration, activity recognition for wrist, pose estimation, motion intensity detection, fitness activity, and eCompass functions. Download our Getting Started user manual to quickly set up and launch Unicleo-GUI and discover how sensors and algorithms supported by X-CUBE-MEMS1 or Open.MEMS libraries can help you develop a complete solution based on the comprehensive STM32 Nucleo development ecosystem. The I-NUCLEO-NETX Nucleo expansion board with its Hilscher netX52 chip can be connected to any STM32 Nucleo-64 or Nucleo-128 board. With loadable pre-certified firmware for all fieldbus and real-time Ethernet buses, OPC-UA and MQTT stacks are also available from Hilscher to exchange data with the cloud in the context of industrial IoT. The STMCube™ initiative is now available for the whole STM8 family! Similarly to STM32CubeMX for STM32 MCUs, STM8CubeMX helps developers find the best STM8 using search criteria or for a given board. Configuration is facilitated using the pinout wizard to solve potential pin allocation conflicts, the clock-tree wizard to properly set the clocks, and the power-consumption calculator to plan for consumption scenarios. Taking advantage of ST’s innovative ultra-low-power technology, our STM32L451, STM32L452 and STM32L462 MCU lines are new variants with versatile combinations of an integrated USB controller and cryptographic hardware accelerator. With the extended flexibility of the STM32L4 power architecture, developers now have the option to power the core from an external DC/DC for extra efficiency. Active mode current of just 36µA/MHz enables longer runtime on small batteries. This video covers the full chain of our LoRa Discovery Kit (B-L072Z-LRWAN1) and its extended network and application server functions. It shows in detail how to configure, compile and flash software to the Discovery Kit. Then it describes in easy to follow steps how you can connect it to a gateway, then to a network server, and finally to an application server. Learn the basics of our 8-bit STM8L series of ultra-low-power microcontrollers in this short e-presentation. After a view of the block diagram and design architecture, you will better understand the performance and features set offered. This e-presentation highlights how ST’s new architecture attains best-in-class ultra-low-power figures thanks to its high flexibility. STM32L4 MCUs have scored 217 in the standardized EEMBC™ ULPBench® tests that compare the efficiency of ultra-low-power microcontrollers. Moreover, the STM32L4 series shatters performance limits in the ultra-low-power world. It delivers 100 DMIPS based on its ARM® Cortex®-M4 core with FPU and ST ART Accelerator™ at 80 MHz. Fully optimized for STM32 MCUs and requiring no DSP coding skills, ST-AudioWeaver is a free audio development tool enabling advanced and optimized audio development while significantly reducing development time and costs. The PC-based tool allows easy creation and real-time tuning of audio processing chains by simply dragging and dropping 160+ audio modules. Premium upgrade with additional or custom audio modules and MATLAB API support is possible. ST’s new 3-amp RMS logic-level AC switch is now available in Fullpack and DPAK versions. Designed to drive most inductive loads in small motors, electric curtains, pumps, solenoids and water valves, ACST310 devices can be driven with only 10 mA gate current allowing direct connection with an MCU by a simple resistor in series, avoiding the need for an external gate driver and making FMEA easier and reducing PCB size. The IPS161H is a single high-side switch with protections and diagnostics for Safety Integrity Level (SIL2 and SIL3) compliant systems. With a supply voltage range up to 60 V, the IPS161H intelligent power switch (IPS) is capable of safely driving complex (resistive, capacitive and inductive) loads with one side connected to ground such as valves, relays and lamps in factory automation or process control applications. Our Op Amps mobile app (ST-OPAMPS-APP) lets you select the best operational amplifier, comparator, current-sensing, power and high-speed amplifier device for your application. Sort, compare and filter electrical parameters or use the smart component value calculator with interactive schematics. ST has extended its portfolio of MDmesh K5 very-high-voltage super-junction MOSFETs with 900 V devices featuring the industry’s lowest on-state resistance (99 mΩ in the TO-247 package and 810 mΩ in the DPAK package) while also reducing the gate charge for faster and more efficient switching. The devices also have low input and output capacitances which enable zero-voltage switching with minimal energy loss. This blog post takes a look at ST’s new resource, curated by moderators, and enhanced by ST employees, to bring partners, engineers, academia, and enthusiasts together around its technologies. 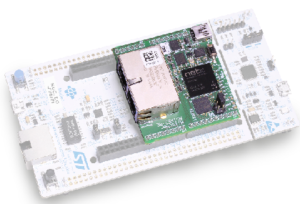 This blog post examines a new Wi-Fi module recently launched by ST that is designed to facilitate the development of cloud applications used by small or IoT devices connected to the web. Our motion and environmental sensor STM32 Nucleo expansion board (X-NUCLEO-IKS01A2) packs a 3D accelerometer and 3D gyroscope inertial module (LSM6DSL), a high-performance 3D accelerometer and 3D magnetometer eCompass module (LSM303AGR), a humidity and temperature sensor (HTS221) and a MEMS absolute pressure sensor (LPS22HB). Designed around the STSPIN250, the STM32 Nucleo low-voltage brush DC motor driver expansion board (X-NUCLEO-IHM13A1) provides an affordable and easy-to-use solution for implementing motor control designs in portable applications such as POS terminals, printers, small robots and toys. Learn how easily you can build a BLE network and control all the devices in it via IoT cloud services such as IBM Watson, Microsoft Azure or Amazon Web Services. In this blog post, the stage is given to the engineering crew who is so passionate about building all-in-one packages to help peers get their IoT project done at light-speed. Designed from the ground up to securely isolate applications from each other, the ProvenCore-M RTOS from Prove & Run is a secured microkernel for IoT devices based on the STM32 security hardware. 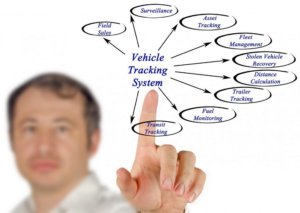 Customers can develop the functional part of their applications leaving the security to the secured RTOS. With built-in Secure Boot and Secure Firmware Update services, reach a unique security insurance level with the addition of the CC EAL5+ STSAFE global secure solution. The SPSGRFC is an easy-to-use sub-1 GHz CE, FCC and IC certified transceiver module with U.FL connector for adding an optimized external antenna to extend the range in critical IoT applications. Sensors used to control lights or trigger alarms based on motion detection are a design challenge as they must be ultra-low power to ensure long battery life. The STEVAL-IDI009V1 evaluation board builds a complete signal conditioning chain for the on-board passive infrared (PIR) sensor around the TSU102, a nanopower op amp consuming as low as 24 µA in idle state. The board can connect to STM32 Nucleo development boards or an Arduino UNO R3 and comes with free firmware for evaluation and code development. 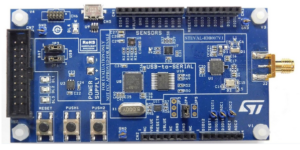 The STM32L4 Discovery kit IoT node (B-L475E-IOT01A) enables you to create smart connected low-power devices. It combines direct access to cloud servers (Wi-Fi Inventek ISM43362-M3G-L44, NFC) and brings low-power multi-link communication (Sub-GHz, BLE) to optimize range and battery autonomy. Multi-way sensing is also included on-board to perform user interaction (proximity, motion, audio sensors) as well as environmental awareness (pressure, humidity, temperature sensors). To get started, pre-integrated Cube SW components deliver direct connection to AWS cloud or to any other servers. The STEVAL-LDO001V1 allows smart evaluation of four of ST’s high-performance low-dropout linear voltage regulators specially designed for extend battery life in portable smart devices. Thanks to state-of-the-art technologies, designs and innovative packaging, designers can choose the best solution in terms of ultra-low quiescent current, ultra-low noise and high PSRR, automatic green mode and miniature packages such as Flip-Chip or ST STAMP™. Based on an open LPWAN module by Murata hosting a STM32L0 MCU (192-Kbyte Flash memory, USB and TRNG), an SX1276 radio, TCXO and crystal ocillators, ST’s LoRa® Discovery kit (B-L072Z-LRWAN1) is the most advanced, compact and cost-optimized solution for developers. Featuring Arduino connectors, an integrated debugger, a battery pack slot, a SMA connector and a 50-ohm antenna, this tiny module (12 x 13 mm) only consumes 1.2 µA in Stop mode. Designed to filter and protect high-speed links such as USB3.1 Gen 1 and HDMI2.0, ST’s ECMF4-20A42N10 improves the overall performance and robustness of consumer devices, in less than 3 mm² (1.35 x 2.2 mm µQFN package). It suppresses the common-mode noise generated from the high-speed lines which creates LTE, GPS and Wi-Fi 2.4 to 5 GHz bands antenna de-sense and clamps ESD surges down to the 10 V remaining voltage. 6 minutes is all it takes to see how you can configure, compile and flash software for the STM32L0 LoRa® Discovery kit (B-L072Z-LRWAN1). Based on an extended LoRa Nucleo Pack with Network and Application server functions, it shows how to connect the kit to a gateway, then a network server, and finally to an application server for networking. It demonstrates how the full chain works: IoT node, gateway, network and application. This post looks at ST’s first solution dedicated to Sigfox nodes providing robust, and modern, security measures to protect its data from hackers and failures. ST’s MDmesh K5 series of super-junction MOSFETs now includes 900 V devices. Superior static (best on-state resistance in DPAK package) and dynamic behavior (industry’s lowest Qg) ensure high efficiency and reliability in all types of flyback converters including standard, quasi-resonant and active-clamp designs. The latest STM32L4x6 MCUs extend Cortex®-M4F core performance and proprietary ultra-low-power technologies, adding larger memories, enhanced graphics support, extra peripherals, and increased power-saving flexibility. On-chip RAM up to 320 Kbytes complements the ST Chrom-ART Accelerator™ for smoother display performance in energy-conscious applications such as IoT devices and smart watches. A new 169-pin UFBGA package gives extra flexibility for its new peripherals, as well as rich digital and smart analog features. Combining the convenience and flexibility of Near-Field Communication (NFC) with Fast Transfer Mode data speeds over ISO 15693 distances, the ST25DV NFC/RFID dynamic tag and its unique bundle of supported features make it ideal for FW upgrades in the field. Easily integrated into existing ISO 15693 infrastructures with no additional investment required, it is also suited for both contactless or wired (I²C) personalization of electronic equipment at the point of production (“in-the-box programming”). Designed for compliance with the 24 VDC bus used in programmable logic controllers (PLCs), the L7987L step-down switching regulator with adjustable current limitation provides a high-efficiency solution for fail-safe tolerant systems. 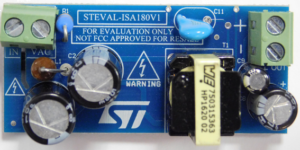 The STEVAL-ISA198V1 evaluation board implements a compact design based on the L7987L to generate a 5V-2A output from an input rail as high as 60 V with high conversion efficiency across the entire load range. The latest addition to ST’s family of tiny, low-voltage, energy-efficient motor drivers for battery-powered portable and wearable applications, the STSPIN250 integrates a full MOSFET bridge and fixed off-time PWM current controller in a tiny 3 x 3 mm QFN package. It operates from a supply voltage as low as 1.8 V and enables power savings thanks to the best-in-class standby current consumption of less than 80 nA. The high output current capability allows use in low- to medium-power applications. ST extends its digital controller portfolio with the STNRGPF01, a 3-channel interleaved CCM PFC controller. Ideal for high power applications (above 1 kW), it delivers the flexibility and high efficiency of digital power without the technical challenges and time to develop custom DSP code. Easily and quickly configured using ST’s eDesignSuite online design environment, simply enter the specs and run the configurator to generate the schematic, BoM, and downloadable firmware to configure the IC. Available in single-, dual-, and quad-channel versions, the TSU series of nanopower op amps offer an ultra-low-power consumption of 580 nA (typ.) and 750 nA (max.) per channel when supplied by 1.8 V, combined with a supply voltage range of 1.5 to 5.5 V.
These features make them ideal for ultra-long life battery-powered applications, power metering, UV and photo sensors, electrochemical and gas sensors, PIR detection, battery current sensing, medical instrumentation or RFID readers. 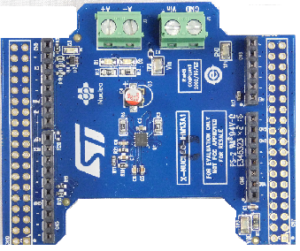 With a full set of hardware features, the STM32F723 Discovery kit (STM32F723E-DISCO) comes with 2 USB connectors to evaluate the STM32F723 embedded USB FS and HS physical interfaces and enables richer modularity by bringing connectivity beyond Arduino™ Uno: a PMod and a new STMod+ connector. The kit includes an STMod+ fan-out board to enable developers connect Wi-Fi, Grove, Click modules and any innovative hand-made circuitry built on breadboards. The 39 US$ RRP discovery board comes with a preloaded player demo. ST’s LoRa® Discovery kit (B-L072Z-LRWAN1) is the most advanced, compact and cost-optimized solution for developing LoRa® and LPWAN solutions. 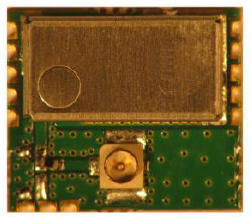 Based on an open LPWAN module by Murata hosting an STM32L0 MCU and SX1276 transceiver, the 12 x 13 mm board consumes 1.2 µA in Stop mode and operates in the 860 to 950 MHz ISM band range. It features Arduino connectors, an integrated debugger, a USB 2.0 FS port, battery pack slot, SMA connector and 50Ω antenna. The STM32F413 Discovery kit (STM32F413H-DISCO) features a 240 x 240 LCD color touchscreen, 2 MEMS microphones, an Inventek Wi-Fi module and ST-Link debugger/programmer supporting USB re-enumeration. Onboard connectivity enables adding an Arduino expansion board, micro USB elements, microSD memory card, external MEMQ microphones, and analog audio devices. An STemWin-based GUI demos automatic speech recognition (ASR), audio beam forming and echo cancellation (AEC) functions. The STM32L496G Discovery kit (STM32L496G-DISCO) benefits from the innovative ultra-low-power features and graphics/audio functions offered by the STM32L496 MCU to enable quick and easy prototyping. Featuring a 240 x 240 TFT LCD display, 64-Mbit Quad-SPI Flash interface, 8-Mbit PSRAM, MEMS stereo microphones and audio codec, the board also enriches its connectivity and modularity beyond Arduino™ Uno thanks to its PMod connectors and STMod+ fan-out board for easy interfacing with Wi-Fi, Grove and Click modules. ProvenCore-M™ is a highly secure RTOS from Prove & Run with built-in Secure Boot and Secure Firmware Update services. Designed for STM32 MCUs to securely isolate applications from each other, its architecture lets you focus on developing the functional part of your IoT application, leaving the security concerns to the secured RTOS. ST’s popular MCU Finder application for mobile devices is now available for Windows®, macOS®, and Linux®. Developers can now explore and connect to ST’s complete STM32 ARM Cortex-M and STM8 MCU portfolio from their desktop environment. Thanks to the intuitive MCU selection tools, self-maintaining technical documentation, connections to ST MCU communities, and many more features, users can quickly find the data and technical resources they need for free. This e-presentation showcases the STM32F7 series of very-high-performance microcontrollers with a 32-bit ARM® Cortex®-M7 core. The STM32F7 optimizes the performance of the entire system by combining a set of brand new peripherals around the Cortex-M7 with a superior interconnect architecture with AXI and multi-layer AHB bus matrixes, multiple general-purpose and dedicated DMA controllers, a Chrom-ART graphic hardware accelerator as well as a JPEG accelerator on some variants. STM32L4 MCUs have scored 217 in the standardized EEMBC™ ULPBench® tests that compare the efficiency of ultra-low-power microcontrollers. Moreover, the STM32L4 series shatters performance limits in the ultra-low-power world. To push size and weight down is a challenge for power designers who need to keep increasing a converter’s switching frequency. The RHRPM4424 dual rad-hard low-side driver helps get the job done with a high-current drive capability twice as high as currently available products, tightly matched propagation delays and a reduced low-level output voltage that also make it suitable to drive logic-level MOSFETs and GaN HEMTs. The RHRPM4424 comes in an industry-standard Flat-16P optimized for power dissipation and a Flat-10 for size-constrained designs. Designed, with support of CNES, to improve bandwidth-usage efficiency and throughput, the STiD135 Satellite full-band multi-tuner demodulator enables a 30% increase in channel efficiency over multi-carrier solutions. As a solution to speed, power size and radiation hardness constraints of board-to-board communication in satellites, our rad-hard LVDS serializer (RHFLVDS217) and de-serializer (RHFLVDS218) enable serial communication with a 1.575 Gbps data rate on 3 lines. The STiD337 ARM® Cortex®-based satellite transceiver SoC with integrated DVB-S2/S2X forward link and IQ-streamer for return link enables deep-sleep and auto wake-up providing 3.5 W (max) power dissipation at full speed and less than 50 mW (typ) during sleep. Production samples are available (under NDA) along with a hardware evaluation platform, a Linux-based OS, and a basic driver set. The RHR61 (single) and RHR64 (quad) Rad-Hard op-amp can operate with a supply voltage down to 1.5 V while providing an input offset voltage of less than 3 mV, ideal for low-power data acquisition chains for precision telemetry and housekeeping in satellites. QLM-V qualified and available in hermetic Flat-8 and Flat-14 packages, they feature high immunity to high-energy heavy-ion induced Single Event Latch-ups (SEL), Single Event Transients and Total Ionization Doses (TID) up to 100 krad as required by long-term missions. The ST1843 and ST1845 are industry-standard PWM controllers that have been used over the years in a number of missions being Single Event Latch-up (SEL) free and granting immunity, respectively, to 50 and 100 krad Total Ionization Dose (TID), with hundreds of them still flying. This reliable work-horse of power converter designs has successfully passed a full qualification protocol and is now ESCC qualified. The STT60400HR is a power rectifier developed primarily to support the needs of the electric propulsion and power control & distribution units of next-generation satellites. Using ST’s latest planar technology, it features a low forward voltage drop (VF) to reduce power losses. The STT60400HR comes in a hermetic ceramic SMD1 package. Engineering models and radiation reports are available upon request. The RHF200 rad-hard differential amplifier features wide bandwidth (420 MHz), high input impedance and wide common range to perfectly fit a CCD sensor data acquisition chain in satellites in single-ended or differential mode. he RHRDAC1612 comes in a hermetic Flat-24 package and is available as Engineering Model (EM) now. Thanks to the high precision and extended current sense accuracy of the VIPower® Zero series, the VND7004AY is the perfect dual-channel high-side driver to safely drive and protect glow plugs using advanced protective functions such as load current limitation, overload active management by power limitation and overtemperature shutdown with configurable latch-off. Teseo-Suite is the official software tool used to manage, configure and evaluate the performance of all ST GNSS solutions including the new third generation of Teseo devices. Its graphical user interface can control more than one GNSS receiver simultaneously allowing an easy performance comparison. In addition to numerous other features, it comes with a powerful NMEA diagnostics tool to help speed up development time. The LM2904WHYST dual op amp and LM2903WHYST dual comparator in a MiniSO8 package offer a 50% smaller footprint than other Grade-0 parts in a standard SO8 package. Qualified for operation from –40 to 150 °C, these parts enhance reliability with improved robustness and resilient performance in harsh environments such as engine controllers, in-gearbox modules, LED-lighting controllers, and safety-critical systems such as ABS controllers that must provide absolute dependability. ST extends its 1200V SCR series with the TN3050H-12GY, an automotive-grade 30 A thyristor. Designed for 2 to 7 kW on-board chargers in bridge or bridgeless topologies, it also fits AC-DC rectification in UPS and battery charger applications, motor drives or the back-to-back switch of solid-state relays. Fully rated at 150 °C and housed in the D²PAK package (a TO-247 package version also exists), it offers a robust switch – 1 kV/µs immunity, 1400 V surge – for compact SMD design with full AEC-Q101 compliance. The L5963, a multi-channel automotive power management IC, now comes in a very small 7 x 7 mm 48-pin VFQFPN package. Able to deliver up to 3 A from each of the two embedded DC-DC converters and up to 250 mA from the linear regulator. Battery-compatible, all regulators have independent supply, power good and hardware enable pins; simplifying power up sequencing. It is perfect for use in USB hubs as well as infotainment systems and car electronics in general. Advanced driver assistance systems (ADAS) use several cameras for 360° surround view systems, forward sensing, driver safety monitoring and night vision. ST’s automotive-qualified serial EEPROMs offer maximum flexibility for setup parameters with up to 512 Kbits of EEPROM for improved image quality in a tiny 2 x 3 mm DFN8 package for easy upgrades, late customization, monitoring, and in-use/ageing calibration. The ST33G1M2A is a secure element for car applications designed to reach high levels of performance such as more than 500,000 erase/write cycles per page over an extended temperature range from –40 to +105 °C under very harsh environmental conditions. With native Page Flash robustness and increased failure analysis capability, this serial access MCU targets very low ppm levels. AEC-Q100 certified, it offers numerous security features to help to protect against advanced forms of attacks. 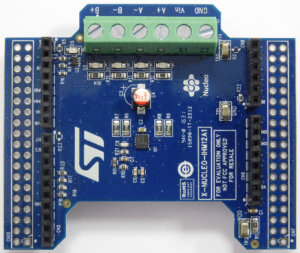 Use the STM32 ODE Development boards, and Application software to jump start your projects. Watch as Tenaya Hurst from Arduino talks about the value of educational programs and the STM32-based Arduino™ STAR OTTO board. The ST Community website enables customers, partners, developers, makers, schools, universities, ST employees and all ST-product enthusiasts to collaborate, connect, communicate, learn and share their insights via a powerful social community application. ST-AudioWeaver streamlines and simplifies the development of embedded audio applications for richer user interfaces in smart devices. Learn how the new SPC58 automotive MCU family enables the automotive industry to raise the bar in security and in-car communications. The family includes the latest Hardware Security Module (HSM) technology for intrusion detection and protection against malicious attacks. ST’s new ST25DV dual-interface dynamic tags uniquely combine the convenience of Near-Field Communication (NFC Forum Type 5) with Fast Transfer Mode data speeds over ISO 15693 distances. The STSW-SPIN3201 is a firmware example based on the STM32 PMSM FOC SDK (STSW-STM32100) for the 32-bit MCU-based STSPIN32F0 motor driver, which features the flexibility and power of an MCU-based motor drive with the convenience and space-efficiency of a single IC. With the STEVAL-SPIN3201 evaluation board, it allows to control a 3-phase PMSM with field-oriented control algorithms in sensorless mode. ST extends its dedicated 30-kV protection series for USB charging circuits with five new transient voltage suppressors. The ESDAxP series – designed with the best clamping ratio for 5 to 20 V USB-powered devices – provides the best-in-class surge current protection capability within the tiniest possible package (1.6 x 1.0 mm), and improves the whole circuit lifetime. The ESD robustness of the entire TVS series goes well beyond the IEC 61000-4-2 Level 4 specification. Based on the VIPer0P 800 V avalanche-rugged high-voltage converter with zero-power standby, the STEVAL-ISA181V1 is a remote-controlled 12 V / 600 mA isolated flyback SMPS with a smart standby architecture featuring zero-power mode (ZPM). In ZPM idle state, power consumption is below 5 mW. The ZPM combined with the IR remote on/off control makes it ideal for air conditioning systems. The TSZ182 dual op amp is a 5 V chopper-stabilized op amp with a 3 MHz gain bandwidth, rail-to-rail inputs and outputs, and ultra-small 2 x 2 mm DFN8 or Mini-SO8 packages. The offset voltage of 25 µV at 25°C enables high measurement resolution and precision. Ideal for compact and slim designs such as LED driver applications and slim laptop adapters, the 950 V, 0.50 Ω (max) RDS(on) STFI15N95K5 is housed in the fully-molded I2PAKFP through-hole package (JEDEC-approved TO-281) which is 30% shorter than the TO-220FP, yet shows the same thermal performance and electrical isolation. In slim designs, the package can be mounted above the standoff height, which improves the overall reliability. This step-by-step tutorial shows you how to get up and running ST’s X-NUCLEO-IHM03A1 STM32 ODE expansion board based on the powerSTEP01, a compact and powerful stepper motor driver delivering up to 10 A with superior smoothness and accurate positioning. Start your high-power stepper motor project in just minutes. Housed in the compact DPAK package, the 600V STD5N60DM2 is the latest addition to ST’s MDmesh DM2 series of super-junction MOSFETs with integrated fast body diode. With an on-state resistance of 1.55 Ω (max), a 3.5 A drain current (max), low Qrr and high dv/dt capability, it allows faster and more efficient switching in server, solar micro-inverters, lighting and home appliance applications in full-bridge and half-bridge topologies. ST’s SPV1050 ultra-low power energy harvester with integrated battery charger helps designers achieve high efficiency and small form factor designs, making it the perfect fit for smart watches and wrist bands, pedometers and heart-rate meters. Suitable for any battery chemistry and with more than 90% conversion efficiency, it guarantees a long battery lifetime, light weight and minimal footprint. With an input voltage from 1.5 to 5.5 V and a typical dropout of 120 mV, the LDLN025 generates a precise and regulated output voltage. Its ultra-low noise architecture ensures less than 6.5 µVrms noise and high PSRR, perfect for precision ICs like ADCs, VCOs, or sensors, with a maximum current of 250 mA. ST’s STCH02 is a current-mode controller designed for offline quasi-resonant ZVS flyback converters. ST’s SRK2001 is a secondary-side synchronous rectification controller for LLC resonant converters. It features an innovative turn-on logic with adaptive masking time and adaptive turn-off logic which maximizes the conduction time of the SR MOSFETs. This eliminates the need of the parasitic inductance compensation circuit, reducing the external component count. The device also features a low consumption mode for increased efficiency in light-load / no load conditions. Wireless charging for electric vehicles (EV) and hybrid electric vehicles (HEV) is coming to market soon, and WiTricity is leading the charge in technology development and standardization with its magnetic-resonance-based wireless power-transfer expertise and technology. 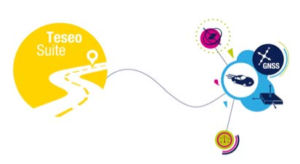 Visit our LoRaWAN™ technology page for more information about tools and software as well as support and ST communities. The LSM303AH eCompass is an ultra-low-power high-performance system-in-package that combines a 3D digital linear accelerometer with a 3D digital magnetic sensor that more than doubles the heading accuracy of other solutions. The IIS2DH accelerometer has user-selectable full scales of ±2g/±4g/±8g/±16g and is capable of measuring accelerations with output data rates from 1 Hz to 5.3 kHz. 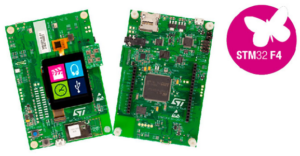 The comprehensive STEVAL-STLKT01V1 multi-sensor development kit is based on the tiny SensorTile board leveraging an ultra-low-power STM32L4 MCU and BlueNRG network processor as well as a wide spectrum of motion and environmental MEMS sensors, including a digital microphone. Delivered with “cradle” boards equipped with audio DAC, USB port, STM32 Nucleo, Arduino UNO R3 and SWD connectors for in-form prototyping and testing, the SensorTile is the best vehicle for IoT application development. The MP23AB01DH is a compact, low-power microphone built with a capacitive sensing element, capable of detecting omnidirectional acoustic waves, and an IC interface. Able to operate on a single supply voltage, it has a sensitivity of 38 dB ±1 dB, an acoustic overload point of 135 dB SPL, a high signal-to-noise ratio and its fully differential output minimizes common-mode noise. Available in a 4-lead metal cap RHLGA package for high RF immunity and an extended temperature range from –40 to +85 °C. Featuring a 3D digital accelerometer and a 3D digital gyroscope, the LSM6DSM MEMS sensor module ensures an optimal motion experience for the consumer. Thanks to its ultra-low power consumption of 0.4 mA, this gyroscope and accelerometer combo enables much longer “always-on” motion sensing, boosting the performance compared with the previous generation of iNEMO inertial modules. 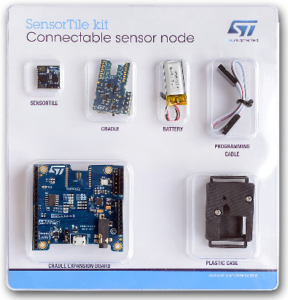 This post details the functionality and components of the STEVAL-STLKT01V SensorTile development kit now available for only $89 (rrp). More efficient, flexible and compact designs with new 500 V MOSFET-based SLLIMM-nano modulesST has extended its offering of intelligent power modules with the introduction of the MOSFET-based SLLIMM-nano devices (500 V breakdown voltage). The low MOSFET on-resistance (3.6 Ω and 1.7 Ω, in 2 A and 1 A variants respectively) combined with low switching losses ensure high overall energy efficiency and reduced cost. They target applications up to 100 W such as compressors, pumps, fans and other low power motor drives working up to 20 kHz in hard-switching circuitries. The STM32 cryptographic library package (X-CUBE-CRYPTOLIB) is now FIPS certified according to the US Cryptographic Algorithm Validation Program (CAVP). Ready for use in STM32-based applications including IoT, POS, or smart meters, the library includes all the major algorithms for encryption, hashing, message authentication, and digital signing to help customers prove the security of their new products quickly and cost-effectively. 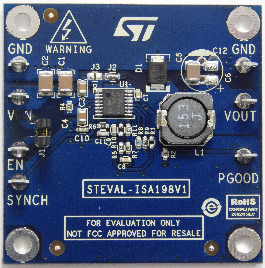 The STEVAL-ILL076V2 evaluation board provides a stable, efficient offline power converter based on a single stage high-PF flyback topology using the HVLED001A controller. The output voltage is controlled by the primary side, thus reducing the need for costly opto-couplers. A power factor in excess of 0.9, a total harmonic distortion below 10% and power conversion efficiency above 90% ensures compliance with the most stringent lighting standards in an efficient, compact, and cost-effective solution. Our new IoT development kit (STEVAL-FKI868V1) based on the ultra-low-power sub-1GHz S2-LP radio IC is now available. The kit comes with a full-featured SDK and supports SIGFOX connectivity out-of-the-box. The bundle includes an STM32 Nucleo board to start prototyping Sensor-To-Cloud solutions with no need for a local gateway or access point. Additional bundled versions will be soon available to cover various frequency bands in compliance with SIGFOX End Product Certification. Our STEVAL-OET004V1 kit includes 4 different PCBs for various package types and lets developers evaluate USB Type-C protection and filtering solutions. With protection for data, control and power lines, the boards also come with common mode filters for USB 2.0 and 3.1 lines. Each board includes a plug and receptacle so it can easily be connected between a host and cable or device and cable. Our new NFC controller (ST21NFCD) and NFC SiP including eSE and OS (ST54F) offers faster communication, even over long distances, for very smooth transactions with enhanced low power performance. With improved interoperability on multiple transport infrastructures, including P2P, you will also appreciate a lower cost thanks to a smaller BOM and reduced antenna size for easier integration. The X-NUCLEO-IHM12A1 is an STM32 ODE expansion board based on the STSPIN240, a low-voltage monolithic motor driver for dual DC motors. It provides an affordable, fast and easy solution for prototyping battery-powered systems. Its compactness, light weight and zero-power consumption state perfectly fit into space-constrained mobile gear and wearables requiring an extended battery lifetime. Together with the free X-CUBE-SPN12 expansion software, you can spin your motor in just minutes. This e-pres highlights the advantages of the I²PAKFP package. 30% lower than the current TO-220FP package, the I²PAKFP (TO-281) is fully inserted at standoff, offering more insulation between leads. Step cutting means better creepage, while without the upper hole of TO-220FP packages only a clip is needed, resulting in more uniform contact pressure and good thermal behavior. Ideal for compact designs such as semi-slim adapters for ultrabooks and netbooks as well as SMPS and lighting solutions. This post examines how ST’s advanced MEMS inertial modules and eCompasses are enabling the WeRun feature found in the WeChat messaging app without draining the mobile device’s battery. This post details, with the suppot of a short video, how ST’s technology has helped enable PNI Sensor Corporation’s PlacePod to give real-time parking-space-availability updates and conduct self-diagnostics. The pre-built software function pack FP-NET-BLESTAR1 provides a complete application layer to help bridge a Bluetooth Low Energy wireless sensor network to a Wi-Fi network. Sensor data from any node in the BLE network can then be sent seamlessly to the IBM Watson IoT cloud platform and visualized on a client connected to the cloud. Advanced System Basis Chip solution tailored for automotive applications. The L99PM62GXP System Basis Chip (SBC) provides enhanced power supply functions including various standby modes. Ultra-low-power sub-1GHz RF transceiver transfers your data from sensors to the cloud. S2-LP also named Spirit2. 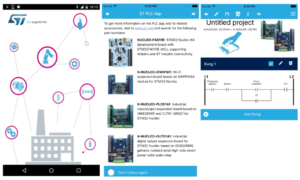 Mobile app for remotely controlling PLCs with STM32 Nucleo ecosystem.